... whatever your ability, we've got the tools to help you do it. 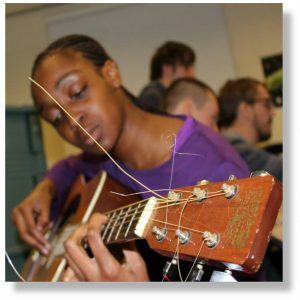 Music workshops for people with special needs. Find out what we can do for you. 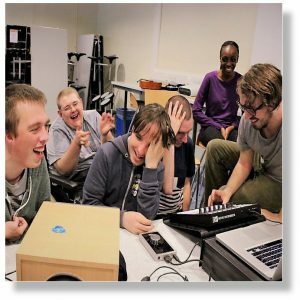 We run music workshops for people with additional needs. Get in touch to find out what we can do for you. 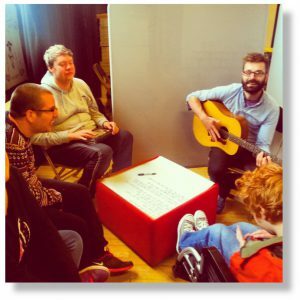 Billy & Andy’s Music School provides accessible music workshops for people with additional needs in the North West. Our goal is to guide adults and young people through an exploration of music and sound that will enrich their lives. It’s something we believe should be open to everyone, regardless of ability, so we build our workshops around the people who attend them. 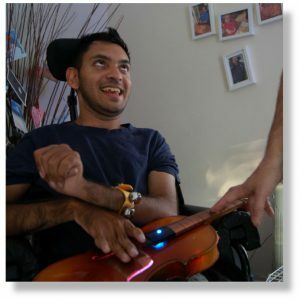 We use a broad range of instruments and technologies, all designed to make music accessible, educational and fun. We want to help people discover their musical potential, to foster a passion for music that anyone can benefit from – just like we did. Here's a short video we made. It tells you a little bit about us and has jaunty music playing in the background. Feel free to skip it and keep scrolling if you like! You can also check out our YouTube channel for more videos from the music school. Many people have trouble expressing themselves or interacting with others because traditional ways of communicating aren't right for them. 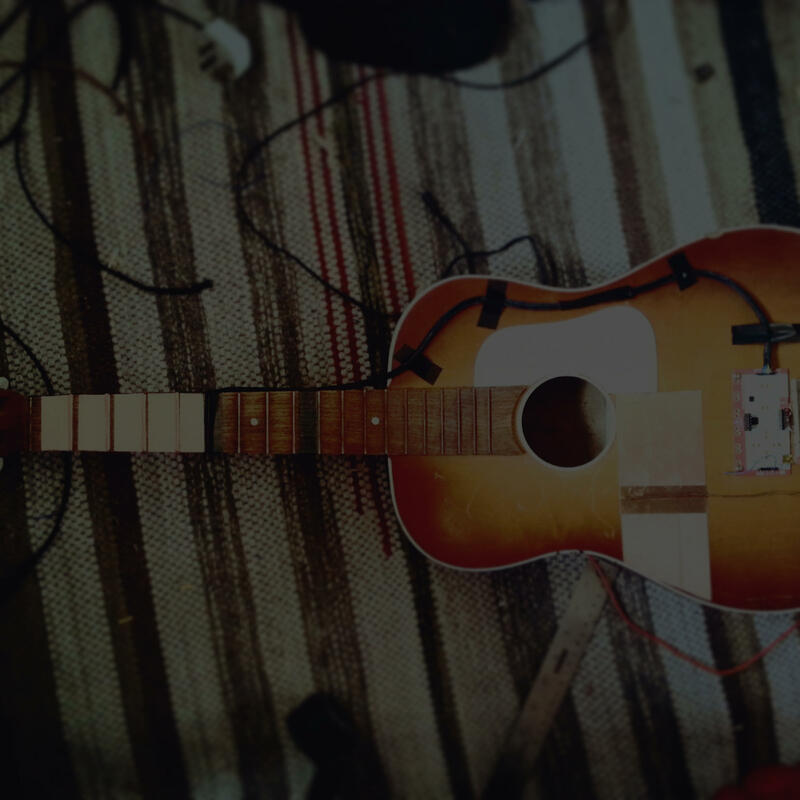 Music allows people to express themselves in a different way. It gives a voice to people who might not feel comfortable, or able, to use their own. And that same enabling power, the one that allows someone non-verbal to speak, can work to do something meaningful for anyone. There's also the fact that music, both playing it and listening to it, brings with it numerous health and cognitive benefits. It's good for both your brain and your heart. Even just a few sessions has been shown to improve your attention, memory and problem-solving abilities, along with your mood and quality of life. If you're still unsure, watch this TEDEd video on the benefits of playing music. But be sure to come back afterwards! Here's a picture of Andy and Will. 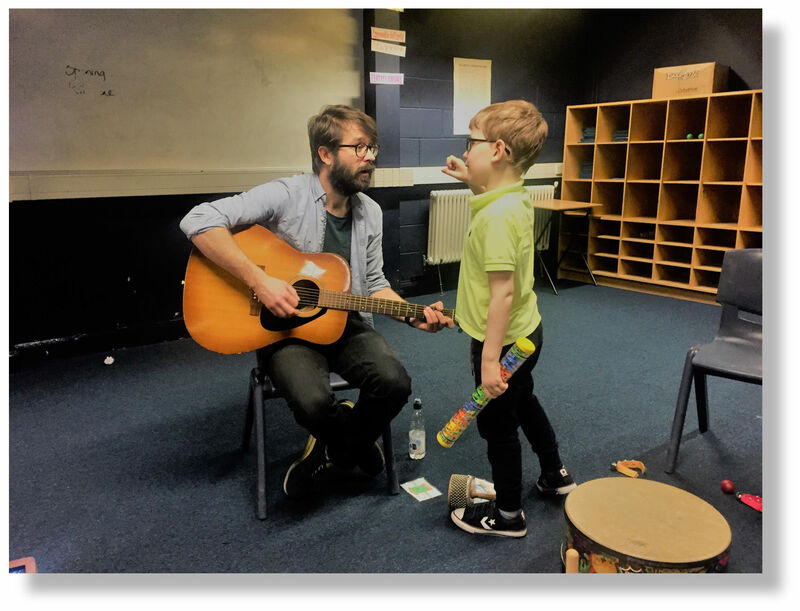 Will comes to the Saturday Sounds workshop we run at Chorlton High School. His mum, Emma-Louise, was nice enough to write a blog post about us. Read more about what Will's mum thinks of us. We love Billy & Andy. It's clear how much Will himself gets out of the group. If you have any questions or would like to know more about anything we do, please get in touch!